For the average Montanan who likes the outdoors, Will Steger has seen danger on the polar horizon. “Habitat changes, all our hunting for pheasant and other wildlife, that’s what’s threatened” by climate change, he said. 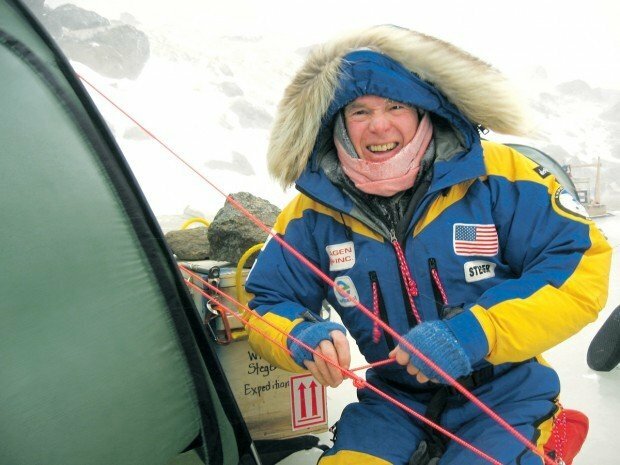 Steger, 65, of Ely, Minn., has spent 45 years of his life as a polar explorer, making monthslong trips in cold as harsh as 70 below zero. Yet now, he couldn’t retrace his own routes because of the loss of sea ice in the Arctic and Antarctic. 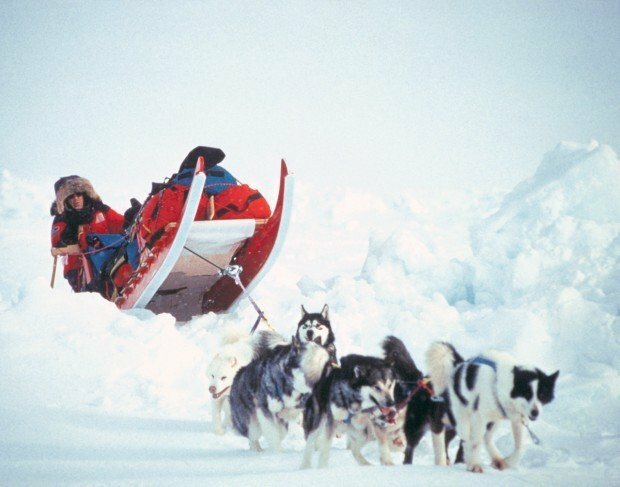 Many of the Arctic expeditions now need a canoe or some other flotation device to get across breaks in the ice. That warming trend is affecting Montana, too, he said, pointing to the loss of glaciers in Glacier National Park as evidence. “The only thing that will pull us out is to get the new energy economy going,” he said. Also an author and educator, Steger was in Billings on Tuesday to bring his personal observations of what’s happening to an audience at the Depot downtown. He’ll also talk tonight in Bozeman and Thursday night in Missoula. Steger’s visit comes on the heels of a recent survey by Yale and George Mason universities that seemed to produce contradictory information. On the one hand, the survey found that only 50 percent of Americans are “somewhat” or “very worried” about global warming, a 13-point decrease over a similar survey in the fall of 2008. The percentage of Americans who think global warming is occurring dropped 14 points to 57 percent. The survey also found Americans are less trusting of government leaders and scientists on the topic of climate change. “The erosion in both public concern and public trust about global warming should be a clarion call for people and organizations trying to educate the public about this important issue,” Edward Maibach, director of the Center for Climate Change Communication at George Mason University, said in a statement. However, the same survey found that despite the drop in public concern over global warming, Americans — no matter their political affiliation — support the passage of federal climate and energy policies. The survey found support for more research on renewable energy, tax rebates for buying fuel-efficient vehicles or solar panels, and establishing programs to teach Americans about energy conservation and global warming. That’s how Steger sees his role now — as an educator with firsthand knowledge of the ecological impacts of climate change who can possibly energize and empower citizens. Aside from an environmental issue, he also sees climate change in a couple of other ways. He thinks moving to a greener economy could boost American manufacturing and create jobs, helping to pull the nation out of its current recession. An investment in biofuels such as switch grasses could add to farm incomes and create processing plants in rural areas close to farm fields, he said. He also sees climate change as a national-security issue. A United States that is less dependent on foreign oil is more secure from foreign influence. “Self-reliance is the basis of the American spirit,” Steger said. Gas prices won’t remain relatively low, as they are now, he said. And if prices rise substantially, they will further dampen any economic recovery. Steger said he’s no radical as an environmentalist. He drives a car, although he sometimes carpools, and buys carbon offset credits when he journeys by jetliner. Rather, he said, he sees himself as a conservative — one who conserves natural resources for future generations. “We’re on the edge right now where we really have to get it right,” Steger said. Contact Brett French at french@billingsgazette.com or at 657-1387.